The Levers PowerPoint Template is an infographic presentation of a gears system and machine concepts. It is a two-slide PowerPoint showing a businessman pulling a lever to set in motion a set of gear clip art. Here, the gear system could portray a business processes. 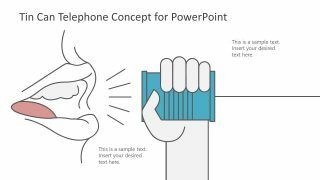 In other words, the lever PowerPoint template is the graphical representation of a process workflow and the business man it source of power. 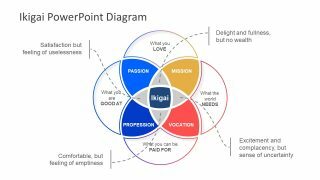 It is a cool business presentation to casually illustrate activities. The interconnected processing gears are the effective presentation tool to show dependencies between the activities. For example, the lever movement of one unit affects its preceding segments. 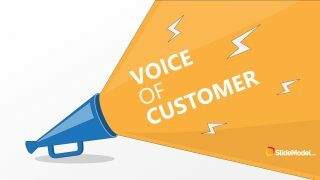 Hence, every unit of lever PowerPoint shows a powerful impact on an overall system. It is a perfect slide to demonstrate the complete performance of a project in one scene. 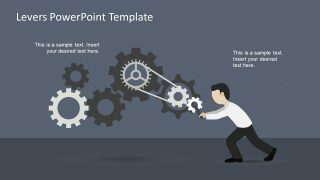 The Lever PowerPoint Template shows in two slides, the interesting approach of simplified mechanics. Both slides have the gear icons diagram with the businessman clipart. However, the slides layout design of the businessman are shown in opposite sides. The gears are connected to the lever though a handle. Now, when the businessman pulls the lever, the entire machine operates. 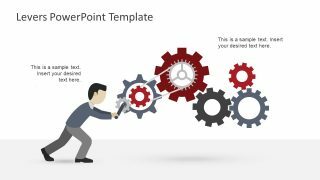 The lever PowerPoint template contains 6 gears set in the diagram. The users can remove or add more gears to present the number of steps in the system. Because the template is easily editable, you can accomplish this just copying and creating more gear shapes. Similarly, resize and rotate the editable object to adjust to make logical process flow. The PowerPoint process flow template of lever and gears shows two distinct background themes. Both dark and light background assists the presenter depending on the main presentation. The template also provides text placeholders to enter useful information about the topic. 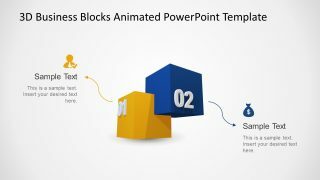 The lever PowerPoint is a model template for business professionals to explain the sequence of activities.